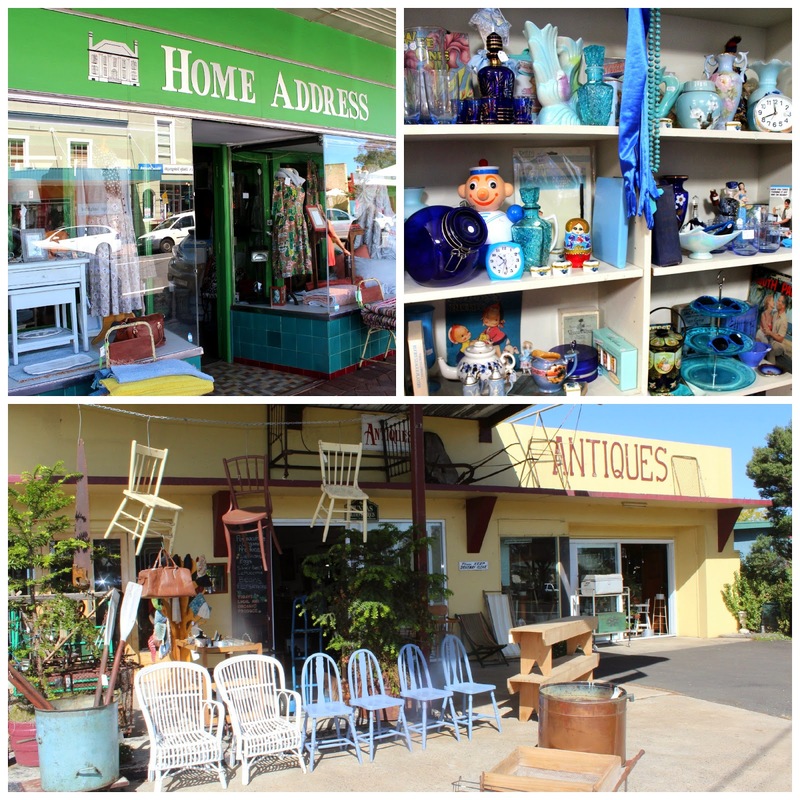 As you drive around the country side in Australia, on route to your ultimate destination, it is not unusual to pass through lovely little towns, catching glimpses of the interesting retail shop fronts and cafes, which grace the main road. It is only occasionally, when you stop the car, get out and wander round, that you can see the true beauty and diversity, the Australian country side offers a weary traveller. And so it is with historic Milton. 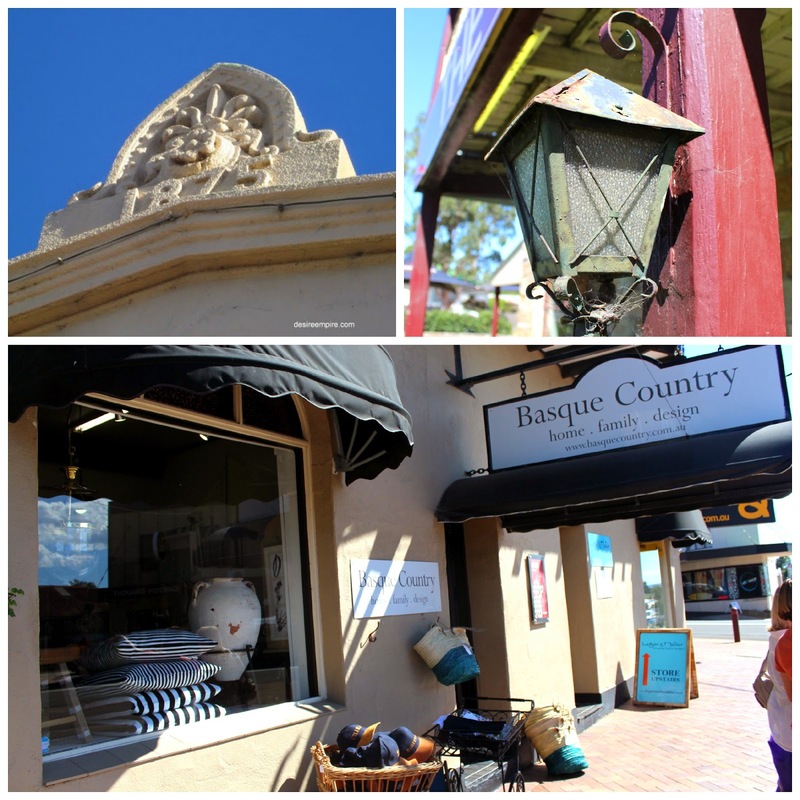 Bursting with historic buildings, good quality cafes and bakeries, organic food stores and lovely antique and retro stores, believe me it is worth parking the car and getting out, in this cute little town. And it's all only 5 minutes away from this, the white sands of Mollymook Beach. 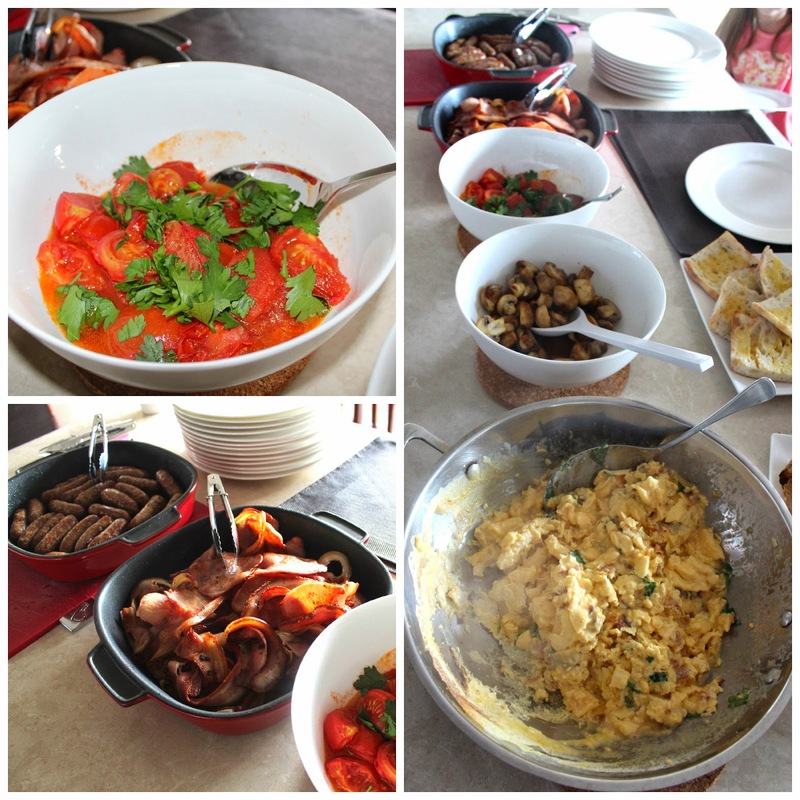 Recently, we made a weekend of it and had a great time, with two other families in a beautiful beach house with a view, in Mollymook near Milton. and views from the balcony like this, it was difficult to leave home, but Milton was worth the trip. 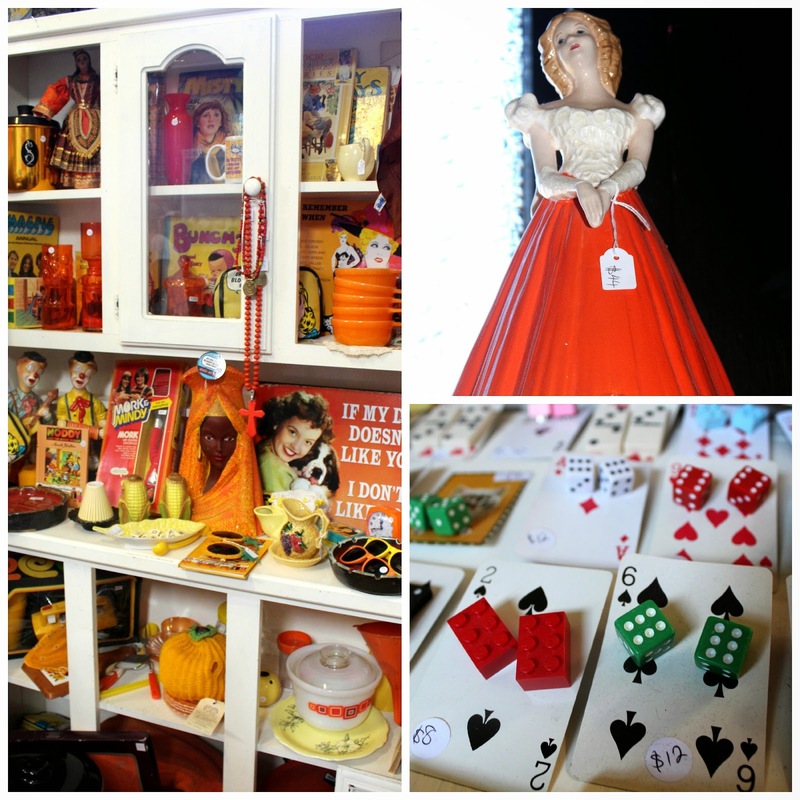 As well as some very interesting retro and antique stores in Milton, the art scene is alive and well too. The Heritage Bakery is definitely worth a visit, with lovely pies, cakes and artisan breads for sale. 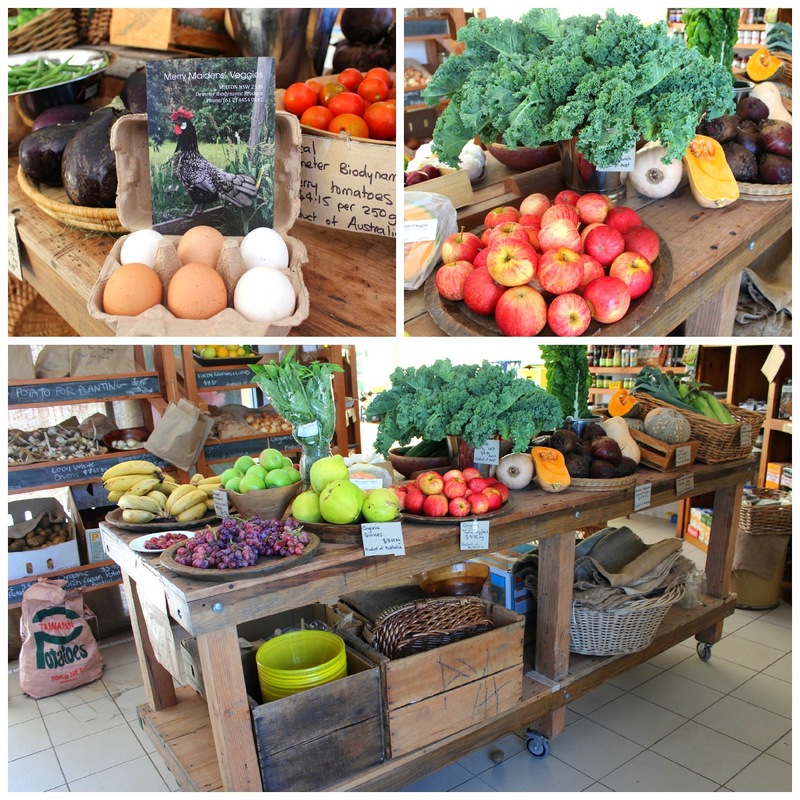 You can pick up beautifully fresh and locally sourced produce from Merry Maidens Veggies in one of the arcades at the northern end of Milton. We had a fabulous dinner at Tallwood in Mollymook. I think the best way to go here is the shared menu. The food was really outstanding and a tribute to chef and part owner Matt Upson and his "simple honest food" philosophy. We absolutely loved it. Details below. Crisp artichokes, jamon, oregano chill, garlic and lemon. 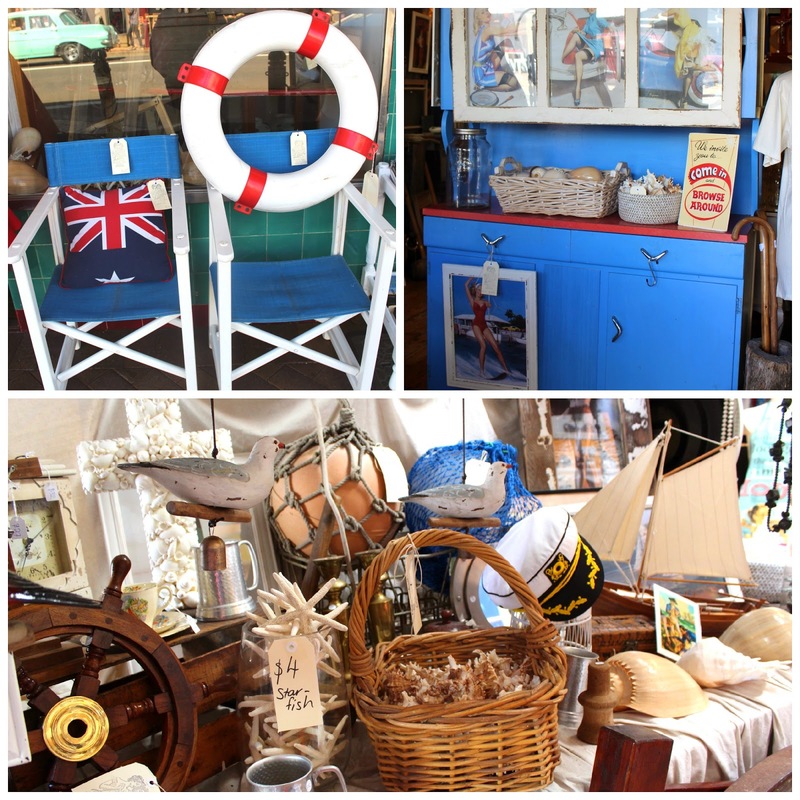 I have featured my favourite homewares stores in the photographs, but there are also some lovely fashion stores to browse in as well. 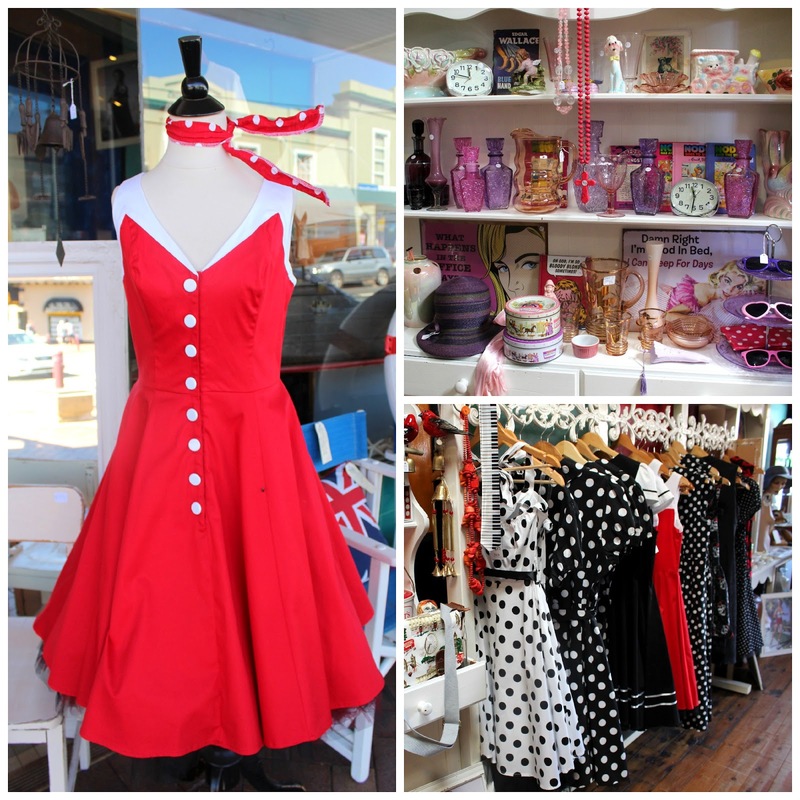 My absolute favourite store was Nikki B's, with an eclectic combination of colourful pieces and gorgeous reproduction 1950's dresses. This store is completely delightful. 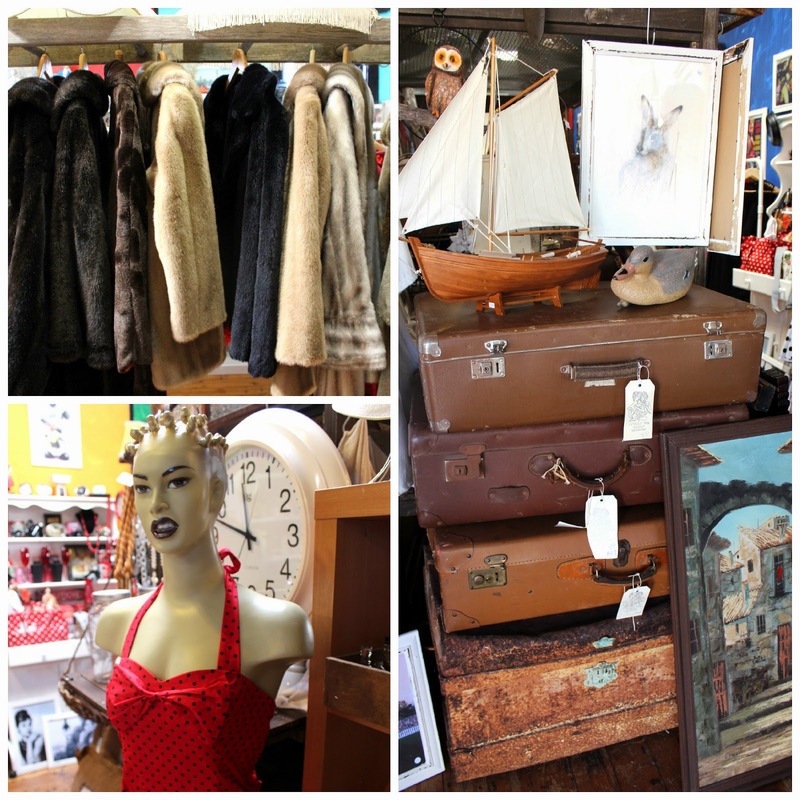 Nikki does not have any online presence at all, so if you are interested in any of her fabulous stock, you will have to go to Milton. Take a look around Milton. All the important details regarding where to stay, eat and play, are at the bottom of this post. Location: Milton on the Princes Hwy. Located on South Coast of NSW, Australia. 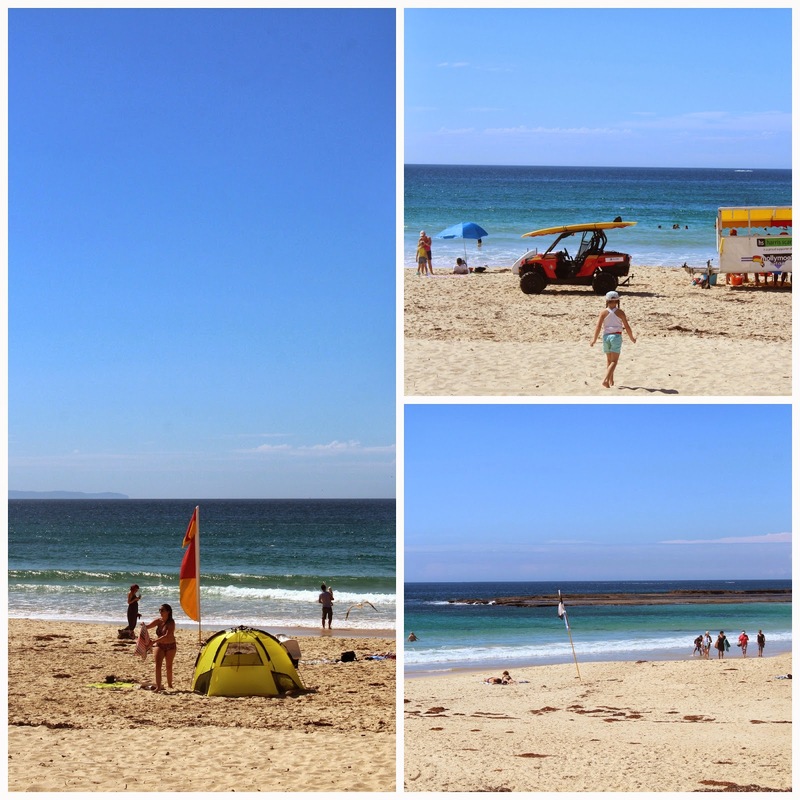 Mollymook Beach is a 5 minute drive off the Princes Hwy, to the east. 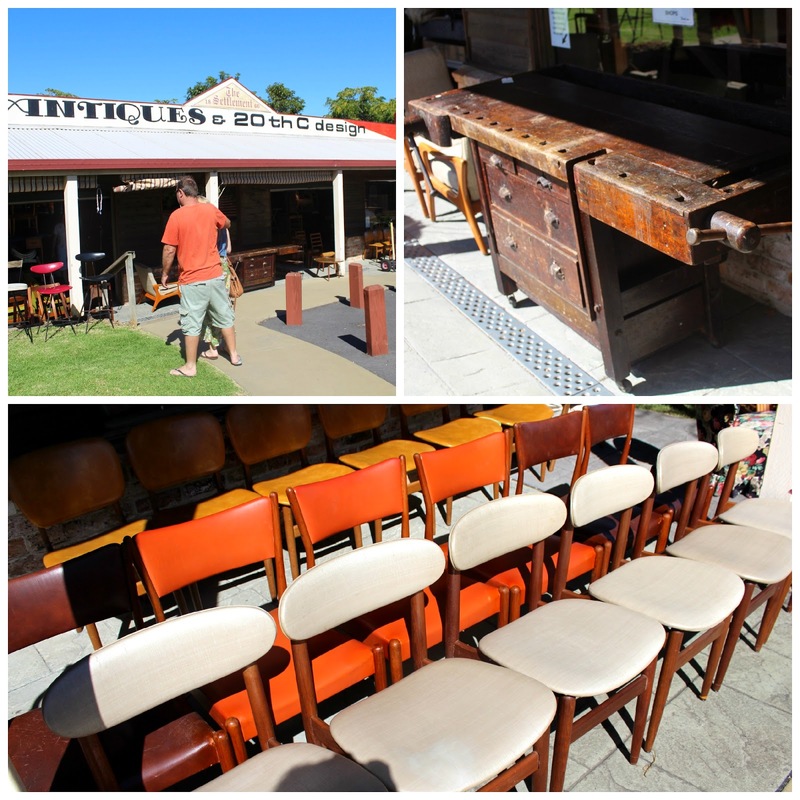 Distance from Sydney CBD: 220km from Sydney and about 3hrs by car along the Princes Hwy. The vibe: Think bustling Australian township with a big crowd out on Saturday mornings doing coffee and shopping for supplies. 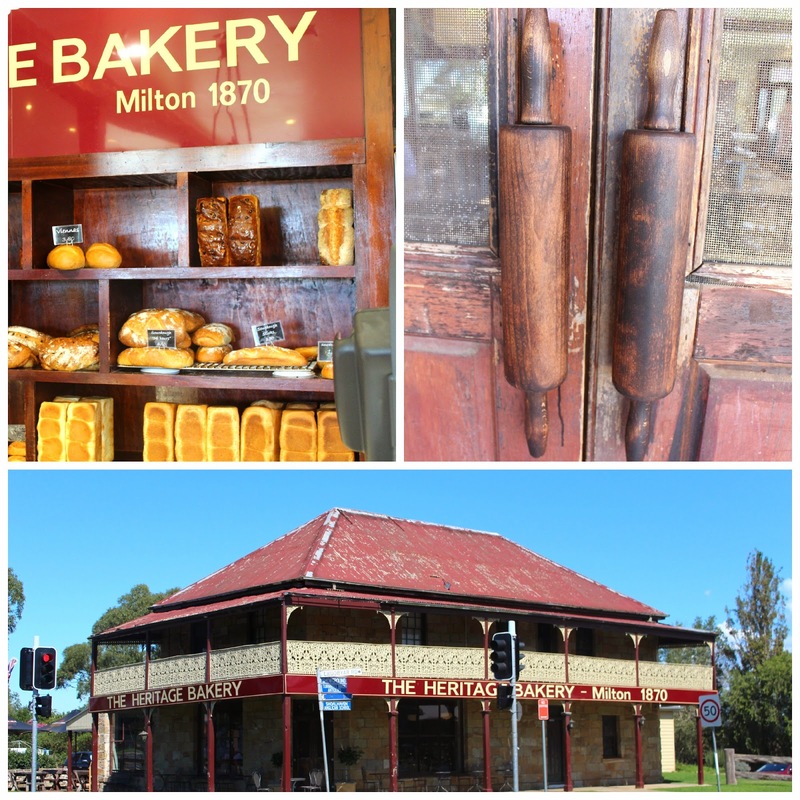 Milton has some lovely historical buildings, in varying states of repair and some quirky antiques, fashion and homewares stores, There are some funky main street gourmet cafes as well. Milton seems to take great pride in it's culinary offerings. Restaurants: Tallwood in Mollymook was excellent in terms of cuisine and value. It was the best meal I have had so far this year. 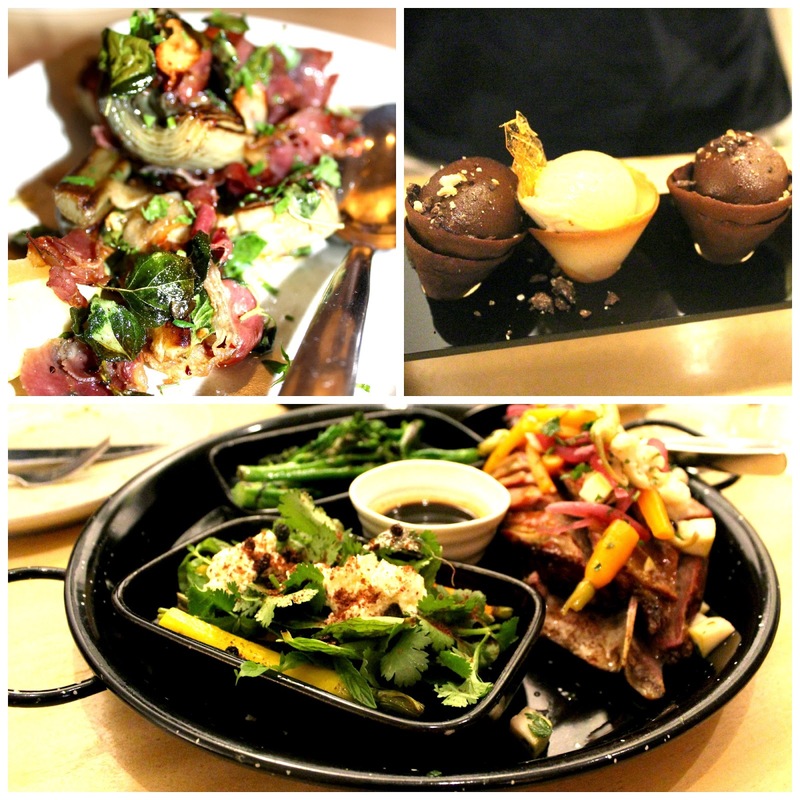 Embracing the culture of food sharing, I absolutely loved dining here. Bookings are essential in peak season. Open Wed-Sun from 8am. Check for other times in the winter months. They also have a Sunday Tapas and red and white Sangria event, with live music. Pubs: The Commercial Hotel and The Star Hotel, both on the Princes Hwy. Accomodation: A comprehensive list of where to stay, can be found here. Parking: Good amount of free on street parking. Views: Beautiful rural vistas across to the west, toward the Great dividing range, with expansive ocean views to the east. Other attractions: The Beach at Mollymook. To the west is Pigeon House Mountain located in the Morton National park. The mountain can be climbed. Milton Theatre hosts local productions and international artists. There is a vibrant music scene and all the current events can be sourced from this Facebook page. Milton Show Feb/March. Apart from all the usual agricultural activities, there is also a rodeo included in the event. Check here for specific dates. Milton Showground Croobyar Road. Milton scarecrow festival: Held on the June Long weekend. Escape ARTfest: Sept 19 to 5 October 2014 featuring art, poetry, music, theatre and film. This is an event showcasing the work of emerging artists Check here for more details and dates for other years. In general: Milton is a thriving rural community. 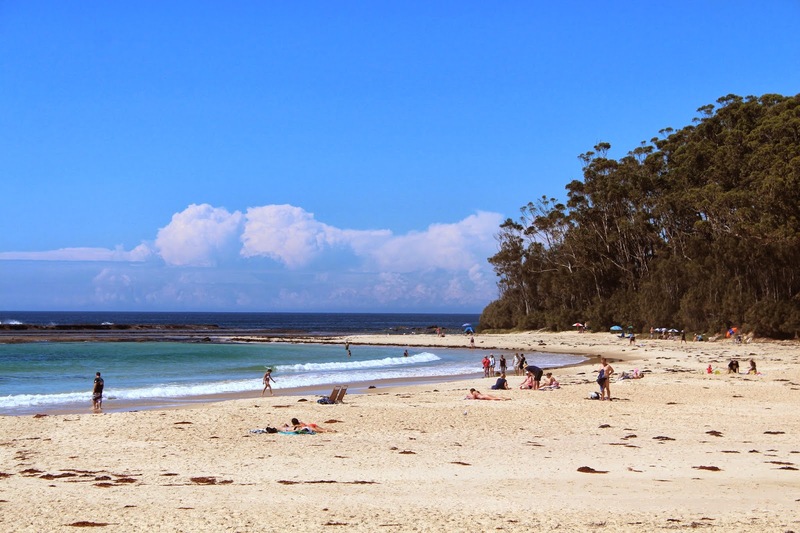 Being only 3 hours drive from Sydney, it is a fabulous short break destination, offering a coastal country vibe, with good quality accommodation, cuisine and activities for the whole family. I have recently gathered more travel stories and day trip ideas in one spot, read them here. I am giving away lots of paint here. Have you entered yet? 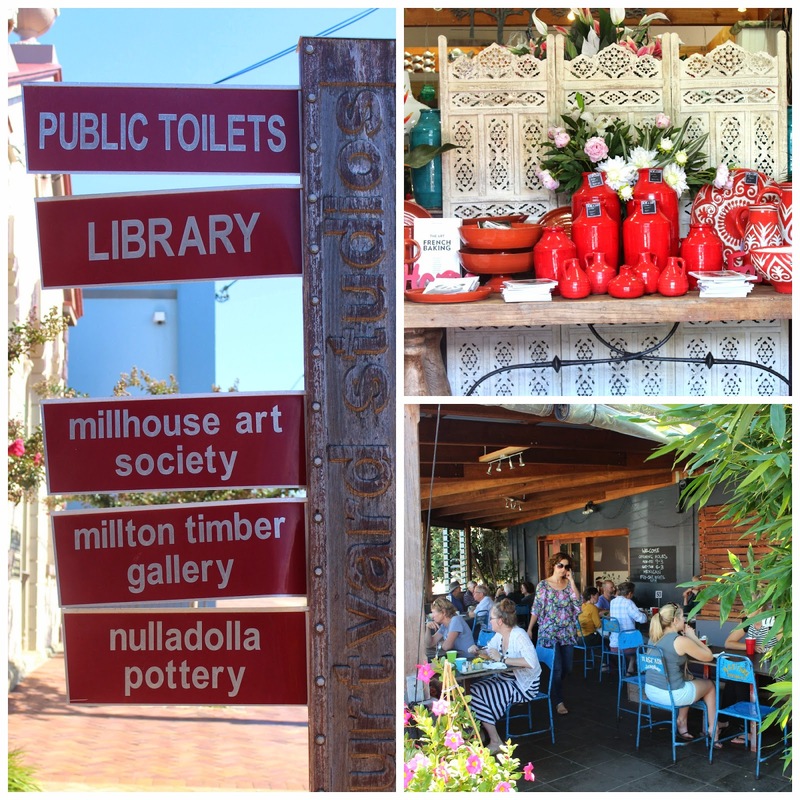 Really enjoyed your photos and blog on Milton and surrounds. You captured the charm of the town's eclectic mix of shops and also the delights of its restaurants, bakeries and gourmet delis. 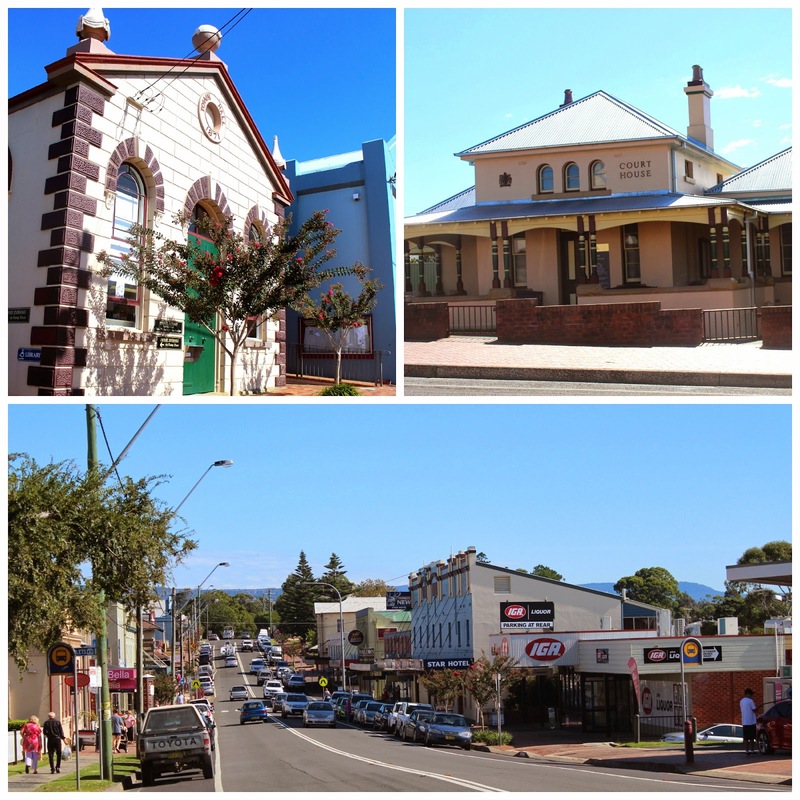 Milton is a charming historic town with views east to the coast and west to the hinterland. We who live here, love it..
You are lucky to live in God's own country. Such a lovely part of Australia, down on the south coast of NSW. Absolutely Dee, well worth the visit. You have the best blog. So professional looking. I hope you realise that . It really is an excellent read. The photos and layout are always superb. Thanks Nicola that is very kind. You and your family sure do have some great weekends away, and everything is so pretty! That red dress really speaks to me - a shame chocolate speaks to me in a louder voice. Gorgeous post as always Carolyn. What a glorious place to visit, Carolyn! I had to giggle at the rolling pins for door handles at the bakery, and 50's fashion is definitely my favourite. THAT looks like an awesome, awesome place for a weekend getaway! A week even. My BIL has a calendar of pubs, and I am pretty sure the Milton pub is in there.